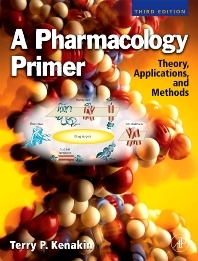 This successful guide assists scientists trained in molecular biology and related fields who now need to know the basic theories, principles and practical applications of pharmacology. This latest edition continues the tradition of better preparing researchers in the basics of pharmacology. With expanded hands-on exercises and the addition of Pharmacokinetics coverage, new human interest material including historical facts in pharmacology and a new section on therapeutics that will help readers identify with diseases and drug treatments. The ideal book for researchers in drug discovery who have seen their role shift from "individual" to "team player" where that team includes chemists, biologists, and others with strong, but varied, science backgrounds who must now work together toward their common pharmacology goal. 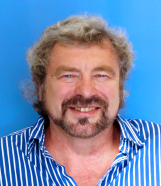 At GlaxoSmithKline, a pharmaceuticals world-leader, Terry Kenakin regularly teaches a course for their research scientists and has drawn on his experience to create a pharmacology primer. *New - Latest coverage of the chemistry of drugs including expanded coverage of the pharmacokinetic discussion of druglike properties -- Increases reader understanding of necessary ADME (Absorption, Distribution, Metabolism, and Excretion) properties and increases the rate of drug approval and acceptance. *Context - Unique discussions on various drug discovery teams and the role of the chemist on those teams -- Promotes the understanding of these expanding roles and responsibilities and how to maximize the effective contributions of each matrix team member. *Real-world learning - There are hands-on exercises, with extensive answers, utilizing real data on structure activity relationships; utilization of pharmacological principles to make general statements about how changes in structure lead to changes in drug activity. + hands on exercises with extensive answers on Pharmacokinetics -- Stengthens practical application and understanding of core concepts and principles. *Study sections are organized with ASPET (American Society for Pharmacology and Experimental Therapeutics)and other international organizations -- Ensures that learning follows professional industry standards. Researchers in all areas of molecular biology who need the background basics of pharmacology. This list includes pharmaceutical companies, drug discovery professionals, and researchers in pharmacology, biochemistry, cell biology, and molecular biology. Also chemists, medicinal chemists, biologists and can be used for upper-level undergrad textbook.